Although I’ve tasted their wines many times, I’m rather embarrassed to admit that it was not until last week, on the most perfect of late summer mornings, that I found time to visit Château Laffitte-Teston for the first time. I wasn’t disappointed. It is an immaculately-kept property of around 40 hectares, with spacious cellars amply filled with a lot of new oak barrels. A friend in the trade suggested to me that with a name like Laffitte (even with the different spelling) it aspires to being somewhat Bordelais. If this means that the wines incline towards elegance rather than power, as indeed they do, this only adds to their attraction as far as I’m concerned. The two IGP Côtes de Gascogne with which we began have only a very gentle regional accent. Domaine Teston Rosé 2013, a blend of Cabernet Franc, Cabernet Sauvignon and Tannat is dry, crisp and juicy, with vivid strawberry and other red fruit aromas. The unoaked red Domaine Teston 2013 is a blend of roughly half Merlot, half Tannat and is full of bright, sappy red and black fruit, with crisper acid than one might expect from Merlot alone, but with rather more tannin. It is clearly designed to be enjoyed young and vibrantly fruity. The estate’s Madiran is unmistakably Gascon. The aptly-named Reflet du Terroir 2011, with around 80% Tannat and 10% each of Cabernet Franc and Cabernet Sauvignon is from vines up to 55 years old and is aged for about a year in second fill barrels. The rich elderberry aromas of Tannat integrate well with the oak and the palate is elegant, balanced and persistent, but with more powerful acids and tannins than the IGP. Madiran Vieilles Vignes 2010 from vines around 70 years old is aged a little longer in all new oak. Once again the fruit is to the fore – elegant and perfumed. In the mouth it is rich and ripe with depth and power. The dry white Pacherenc du Vic-Bilh Cuvée Ericka, named after owner Jean-Marc Laffitte’s daughter, is outstanding. It is unusual in being dominated by Petit Manseng (Gros Manseng is more usual in dry Pacherenc) and in being fermented and aged in new oak barrels, with regular lees stirring throughout its time in oak. The 2012 which we had also enjoyed with food the previous evening at the excellent Relais de Bastidou shows both elegance and complexity with clear, bright fruit. Grapefruit was evident when it was served cool at the restaurant, more exotic stone fruits were suggested as it warmed in the glass and opened up. It has very crisp acidity, a less creamy texture that the extent of lees working might suggest and a long finish, the only time when the new oak aromas come to the fore. Pacherenc Moelleux, ‘Rêve d’Automne’, 100% Petit Manseng, is also fermented and aged in new oak barrels with a similar level of lees working. The 2012 is very concentrated, but not overly sweet and the fruit is balanced by very clean acidity. Once again the new oak is judiciously handled and does not dominate. Although the grapes are, of course, raisined on the vine, not botrytised, there is a distinct aroma of apricot. The two final wines in the range, both made by mutage with alcohol and aged in oak casks for a year are great fun: Teston ‘Vintage’ Tannat and Petit Manseng. Both are 17% abv. The Tannat shows the sweet concentrated elderberry flavour of the fresh fruit, along with its unmistakable, earthy tannins; the Petit Manseng, with subtle oxidative notes and an intriguingly bitter phenolic kick at the end is like super-charged quince, balanced by mouth-watering acidity. Although there have been other attempts in the region to make a port-like Vin Doux Naturel with Tannat, this is the first I have tasted to feature Petit Manseng and is an unqualified success. Château Laffitte-Teston wines are available in the UK at The Sampler, in London and through Balcony House Cellars in Sherston, Wiltshire. 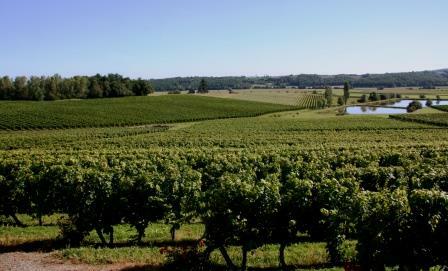 Few French regions offer as great a diversity of wine styles as Anjou. I’ve followed a number of growers there in recent years, but the very pleasant opportunity provided by ferrying the prize-winning wine blogger Sophie McClean around the region a couple of days ago allowed me to add a couple more, both of them gems. Antoine Leduc of Domaine Leduc-Frouin is a true gentleman. Sophie’s train arrived almost two and a half hours late into Angers, but Antoine insisted that he had all the time in the world to look after us, take us into the vineyards and winery and treat us to a superb tasting. About half of Antoine’s production is rosé. It is also a significant part of the 20% of the wine he exports from the family estate of 30ha. that he runs with his sister Nathalie at Soussigné, near Martigné-Briand. Anjou Rosé, he says, is his ‘visiting card’ and the Russians love it. He took us into the vineyard to show us some of his Grolleau and to defend its reputation. It gives big bunches of juicy berries, large enough to be enjoyed as table grapes. It is resistant to most fungal diseases, despite its thin skins, but can be far too productive. For this reason and because it is fertile from the first bud, it lends itself to short spur pruning. In times past, it was often trained as a bush vine, en gobelet. It is grafted here onto Gravesac which is moderately vigorous. 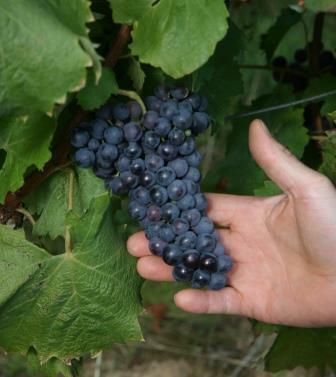 Lower yields in recent years have given higher anthocyanin levels. Antoine is able to produce a delicately fruity, scented wine with good colour from juice half obtained by direct pressing and half by a short maceration for a few hours in the press. The 2013 balances nearly 20g/l of residual sugar with very fresh acidity and with a mix of red fruit and spicy aromas. It is simply delicious. Rosé de Loire, also made from 100% Grolleau, but almost bone dry and with a very slightly higher pH, seemed even more perfumed. 2013 here was a success, qualified by reduced yields by poor flowering and rather a late harvest. The third rosé in the portfolio, Cabernet d’Anjou is made from a blend of 50/50 Cabernet Franc and Cabernet Sauvignon. Although the 2013 was, as it should be, a little sweeter than the Rosé d’Anjou, the extra phenolic kick from the Cabernet grapes gave it a drier-seeming finish. 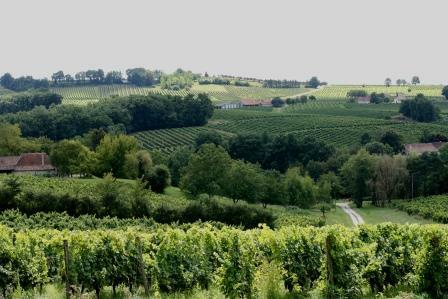 30% of Antoine’s production is white wine, including sparkling. Cuvée Alexine 2013, Anjou Blanc is Chenin Blanc, designed for early drinking, aged in tank. It was fresh and floral with acidity tamed by 7 or 8g of residual sugar. The other dry white Antoine showed us was quite different. It was fermented in 400 litre oak casks and given a distinctly Burgundian élévage, with regular lees stirring (Antione trained as an oenologist in Dijon). 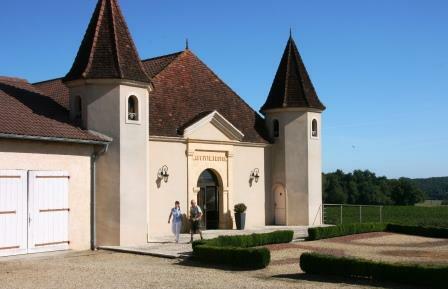 The 2011 is named after the day on which it was harvested: Vendanges 20 Septembre. 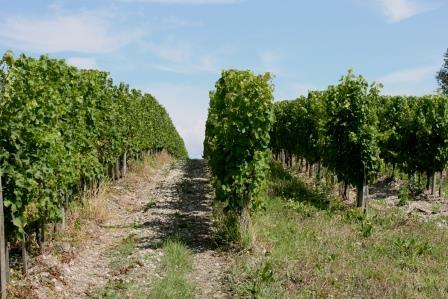 The plots were the same as those used to make some of Antoine’s Coteaux du Layon. Although it is very rich and spicy, with well integrated oak (Antione favours the larger format of barrel to avoid excess oakiness), it combines a creamy texture with very fresh acidity. It is very complex indeed. Antoine makes both an Anjou Rouge and an Anjou Villages Rouge. We tasted the 2012 Anjou Villages ‘La Seigneurie’, which is produced from an old plot in which Cabernet Franc and Cabernet Sauvignon are co-planted (in a proportion of roughly 70%/30%). It sees no oak. Antione is keen to preserve the fresh, direct appeal of the fruit. The mix of metamorphic sandstone and schist soils helps to produce a delicately aromatic style and a hint of minerality. The 2012, a tricky year, was beautifully done: balanced and fruity, with clear evidence of carefully managed extraction. Antione’s sweet wines are excellent. His 2012 Coteaux du Layon ‘Arpège’, fermented and aged half in barrel and half in tank shows just what might be achieved with care and careful selection in a year in which September rains washed away any possibility of making truly great botrytised wines. Fresh acidity, quince-like fruit and as much as 120g/l sugar, all in perfect balance, are a great testament to Antoine’s wine-making skill. For a demonstration of what he can do when nature is kinder, his ‘Nectar’ Coteaux du Layon 2011 provides the richest of evidence. Only made in the very best years (the last was 2002), and with 230g/l sugar, it shows fabulous intensity and complexity, with concentrated ripe apple and apricot flavours lifted by mouth-watering acidity. It is, by any standards, a very great wine and has the balance to develop even more spectacular complexity if left to age in the right environment, such as the caves cut into the rock around the ancient settlement of La Seigneurie, where Antione and Nathalie are lucky to live and work. The following morning, we headed out to Saint-Lambert-du-Lattay, much closer to the valley of the Layon itself, and to the Domaine des Bohues, run by the very affable Denis Retailleau and his wife. They have 13 ha. of vines , mostly on schistous soils. These, Denis says, give the wines of Saint-Lambert a distinct savoury minerality, something that was clearly evident in many of the wines we tasted. Like Antoine Leduc, Denis Retaileau is firmly committed to sustainable viticulture. 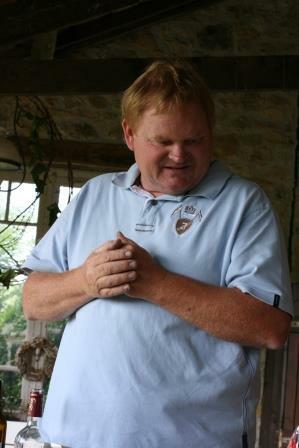 Denis produces rosé, dry white, red and sparkling but his pride and strength is his very fine, sweeter wines. The first of these that he poured was his 2011 Coteaux du Layon, his entry-level wine. It’s a great success, botrytised with honey, fresh nectarine and apricot, very fresh acid and around 80 g/l sugar – though Denis was quick to point out that he has little interest in absolute sugar levels. Balance is much more important. He is keen to reduce sulphur levels and is delighted with the results he obtains from a new cross-flow filter that greatly assists him to achieve his aim. The same Cuvée in 2006, a more difficult year to manage, was even more honeyed, but a little drier, a little more alcoholic and also very slightly phenolic, with a fine flavour of white peach. The Cuvée des Maytyrs is named after a lieu-dit that commemorates victims of the bloody Guerre de Vendée during the French Revolution. Its warm, stony, schistous soils produce both wines of greater ripeness and concentration and marked minerality. They are so stony, in fact, that Denis says that after rain they give off a distinct gun-flint aroma that somehow seems, as it does in Chablis, to translate itself into the wine. The cuvée is fermented and aged in small oak barriques. The 2007 has fine, rich, apricot fruit, perfumed by spicy oak. It is much more concentrated than the regular cuvée and is indeed markedly mineral, especially on the aftertaste. The 2010 is richer still, with more fruit, and despite a slightly longer stay in oak, far less perfumed by it and also a little less savoury/mineral. It is a very fine wine indeed, with deliciously fresh acidity to balance the quince and ripe apricot flavours. We finished with Denis’s 2011 Coteaux du Layon Villages, Saint-Lambert, a glorious wine of immense concentration. From quartz-rich soil, it is distinctly floral and very spicy, softer and without the savoury mineral character of the wines grown on schist. Sugar levels were of course of only academic interest (oh that they were in the MW exam! ), but comfortably around the 200g/l mark. Of Denis’s other wines, I enjoyed both the dry Chenins he showed us, paralleling Antoine Leduc’s practice of offering an easier-drinking tank aged wine and a much more elaborated, creamy, complex barrique-fermented and aged wine, in this case using barriques bordelaises, which Denis keeps for five years. His 2011 ‘Perle Blanche’, the oaked wine, is savoury, spicy and rich with very fine, lingering acidity. 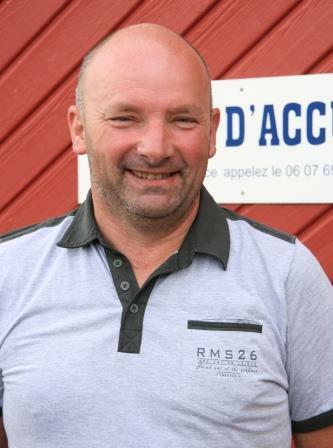 He also makes honest rosé and good red wines, including a light, juicy (carbonic maceration) Gamay, a fine, balanced, fruity Anjou Rouge and an oak-aged version, with considerable concentration and structure, built to last. But it is his delicious, terroir-specific, Coteaux du Layon that will tempt me back for another visit. I’m very worried by the very evident signs of trunk disease in the Loire Valley. Both growers we visited spoke of it, and especially of Esca as a ‘catastrophe. 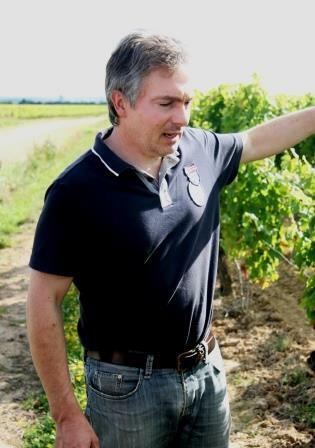 Denis Retaileau has lost up to two thousand mature vines each year, Antoine Leduc up to 10% of his vines in some plots. Both vignerons despair of finding a treatment soon. Such losses cannot be sustained for long and in a year like 2014, which has seen a cool, damp, August, the incidence of disease is, they say, higher than ever. You are currently browsing the Helen’s blog blog archives for August, 2014.